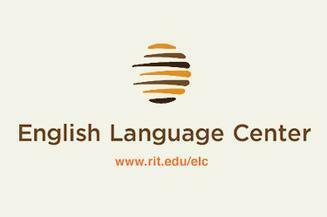 The Rochester Institute of Technology's English Language Center offers an exciting full-time English program to students who plan to attend a university in the United States. Eleven week terms begin every fall, winter, spring, and summer. With shorter programs in January and July. Reading, writing, grammar, conversation and vocabulary are offered at 5 to 6 different levels. In addition to core courses which comprise 15 hours per week of study, students also choose five or more hours of elective classes such as TOEFL preparation, Pronunciation, Lecture Notetaking, Presentation Skills, Idioms, Business Communication among others. Advanced level students may get permission to take 1 or 2 courses at the university for credit while they are studying English. The university enrolls 16,000 students studying in Bachelors, Masters, and PhD degree professions. RIT continues to be ranked high by U.S. News and World Report: America's Best Colleges. Students live with American students on the beautiful, modern campus. RIT is located in the safe, small town of Henrietta, a suburb of Rochester, NY. Students can use the free shuttle bus to go to a nearby large mall with many specialty stores and movie theatres. ADVANCED: At this level, students are required to read academic readings, make presentations, and learn the conventions of academic writing. Students may be allowed to take one academic course when they reach this level of study. ACADEMIC: Students refine the English academic skills necessary for success in university courses while taking full- or part-time academic courses if eligible. Separate courses are offered to undergraduates and graduates at this level to meet the different academic needs of these students. ADVANCED ACADEMIC: This is the highest level of English study and is for students who are qualified for full-time academic study at RIT but who desire further exposure to the types of readings, presentations, and writing expected of college students studying in the US. BASIC: This level is for those students with very little English skills or exposure to the language. The focus of the courses is to increase vocabulary and understanding of basic grammar and to practice the spelling and pronunciation of English. BEGINNER: This level is for students who have some comprehension of English. The courses focus on reading, writing and speaking skills at a simple level. INTERMEDIATE: This level introduces English academic skills and is for students who need more study about and practice using English. HIGH INTERMEDIATE: Students at this level work on English skills necessary for academic work at US colleges and universities.